Canadian leader Stephen Harper is set to cash in a pair of winning bets after his countrymen's and women's sweeps of Olympic hockey showdowns with the United States. 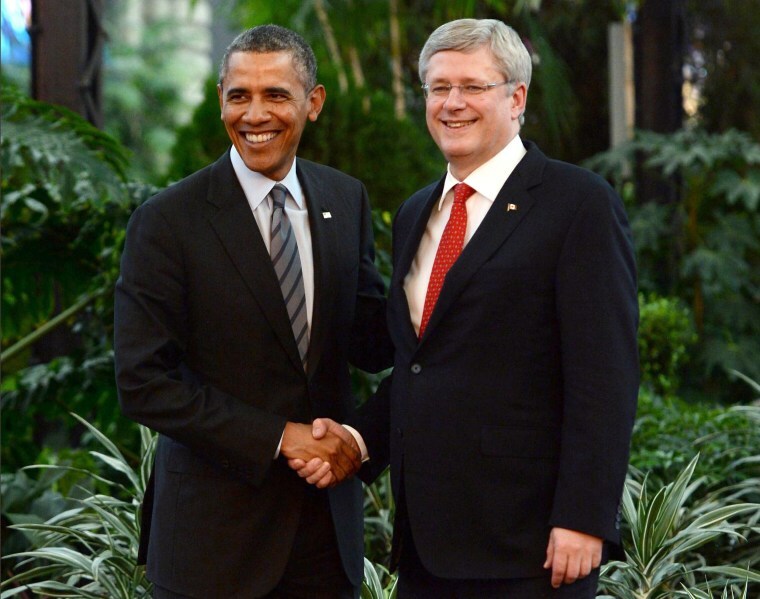 Harper and President Barack Obama met Wednesday during a summit of North American leaders in Mexico. While there, they agreed to wager a case of beer on each of the men's and women's hockey games in Sochi. With Canada's 1-0 win Friday in the men's semifinal, the sweep was compete.